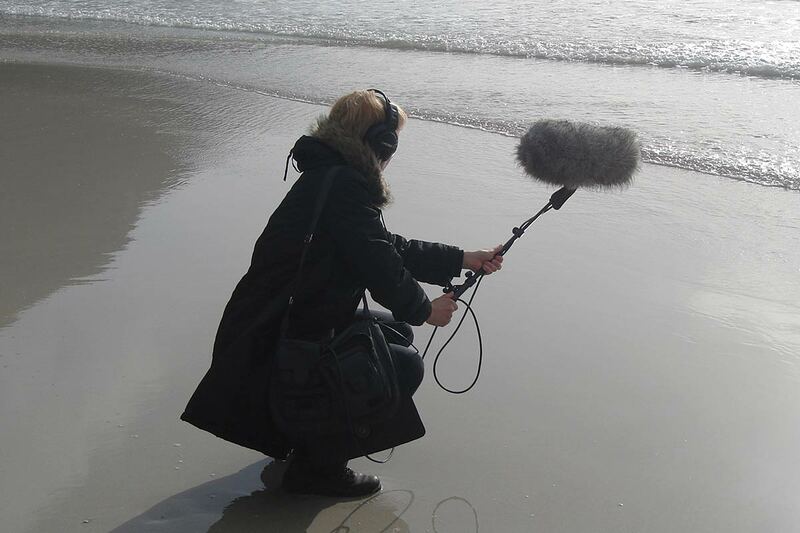 Siri Austeen is a musician and sound artist based in Oslo. She studied at Trondheim Art Academy from 1981-85 working with sculpture and objects, later turning to sound. In 2012 she collaborated with Elin Øyen Vister to produce Sounds like Nordland (Lyder som Nordland). This is a new and inspiring platform telling stories of Nordland and of how contemporary Norwegian society lives together with nature. Based on a public collection of sounds from the region, hear recordings of Orca whales off the coast to native birds and sounds of domestic human life. She began experimenting together with two student friends, exploring any materials and sounds, after severeal years in the basement of the school they came up with a band called Tremulators. Sounds like Nordland (Lyder som Nordland) began in 2012 as a collaboration between Siri Austeen and Elin Øyen Vister . Sounds like Nordland creates a new and inspiring platform telling stories of Nordland and of how our contemporary society lives together with nature. Based on a public collection of sounds from the region, hear recordings of Orca whales off the coast to native birds and sounds of domestic human life. The project, in collaboration with Arkiv I Nordland, aims to promote the significance of sound as a contemporary document, as well as investigate Nordland region as an acoustic landscape. It’s a powerful new way to distill who we are and the rich variety of life we navigate. Social equality and sustainability are crucial topics for Siri. In 2014 she joined CAN – Concerned Artists Norway- an open network of artists that address environmental and climate issues. This became the starting point for a collaboration with Elint T. Sørensen, Elisabeth Medboe and Siri Austeen on art projects such as Quick Responce – Slow Responce and The Ghost Net Collection. This examined the relationship between everyday consumption, the fashion industry, the tolerance limits of nature in relation to plastic pollution of the oceans. Four years ago, together with a number of artists, Siri bought an old spinning mill in Halden 120 km south of Oslo. A space for production, exchange and collaborations. She is about to start a new project there now called Studio Skog (Studio Forest) where she will continue research within sound, art and nature. Siri is also in the bandTsarsten and the Freudian Slippers. I grew up in the countryside. My parents, who both were mountain hikers, had their honeymoon in a canoe. I was pulled up and in to the mountains every weekend and every holiday. I did not know so much about beach life but quite a lot about mosquito soup, fishing methods, how to make a camp fire and so on. We returned year after year to the best lakes for fishing, so I established my regular hiding places for my toys where I could find them next time. Today it is up in these mountains that I just can sit down on a rock, notice my breath become deeper and know that this is my home. I belive it is important to give children a close experience with nature and that they can get to explore nature without constant interference from adults. Experiences involving risk gives valuable knowledge about what’s in and around us. This no textbook can match. We need basic material for identification and belonging to be able to connect and take responsibility for the challenges we face today. I belive that we are now moving from WHY value the environment to HOW do we value the environment. I belive art can play a role in shaping new strategies, ideas and perspectives, and artists are comunicating differently. Much important information today drowns in commercial consumption patterns and many people feel lost. I belive actually the key to survival might be exactly that; knowing when are we lost. It’s about remaking the way we make stuff. Redoing the way we do it. It’s about what informs our evolution. …. how do we sort that information out? What do we listen for in the sound?